Note: Fermented foods tend to be easy to throw together, but require time for those friendly bacteria to do their glorious work. Fermentation preserves foods naturally while also providing healthy probiotic bacteria that aid in digestion. Because of the benefits, traditional cultures ate fermented condiments at every meal. So they are delicious AND nutritious – it’s a win-win! This particular recipe is based on the Fermented Cranberry Chutney that I make for Thanksgiving every year. So glad to have created a new chutney for summer and blueberry season! The night before you begin, simply pour a quart of whole organic yogurt into a cheese cloth or kitchen towel, secure it closed with a rubber band, and put it in a colander resting over a bowl in the refrigerator so that the liquid whey separates from the remaining yogurt cheese. (Bonus: Add honey and cinnamon or sea salt and herbs to the yogurt cheese to make a creamy and delicious spread!) Collect the whey out of the bowl and into a sealed jar the next morning and refrigerate it for use in future fermentation recipes! 1/2 cup sweetener (Sucanat/Rapadura – Evaporated Cane Juice found at WF – or Honey/Maple Syrup) The liquid sweetener will make the final product a bit more runny. Note: the friendly bacteria feed on the sugar, so the sugar content is reduced by the time you eat it. Pulse the ingredients lightly until you get to your desired smoothness. I like it a little bit chunky. Seal it in a jar and set it at room temperature for 2-3 days, then refrigerate. 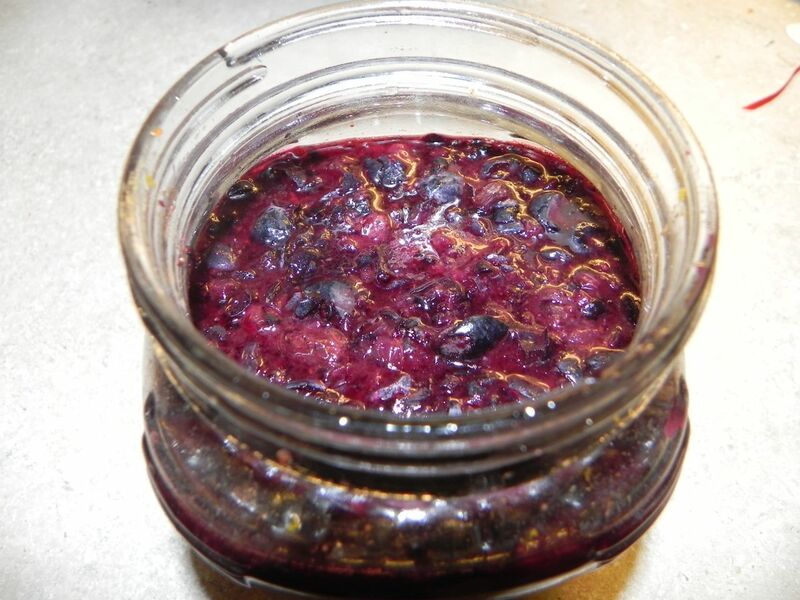 Use Fermented Blueberry Chutney as a sandwich spread, serve it with cream or brie cheese as an appetizer, or top your favorite pancakes, french toast, or waffles with it. And smile, because your taste buds (and digestive track) will thank you! What’s your fermented fruit idea? This entry was posted in Eat Real Food, Learn New Stuff by Shesourceful. Bookmark the permalink. We’re going to Maine in Aug and hope to get a bunch of blueberries- can’t wait to try! This looks delish! Thanks for telling me about your new blog! We’re going blueberry picking next week. This will be fun to try.